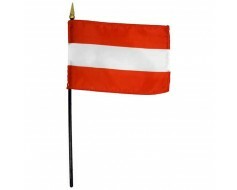 Beautiful, high-quality nylon Austria flags for mounting on most flagpoles. Choose your size and mounting type. Made in the USA! 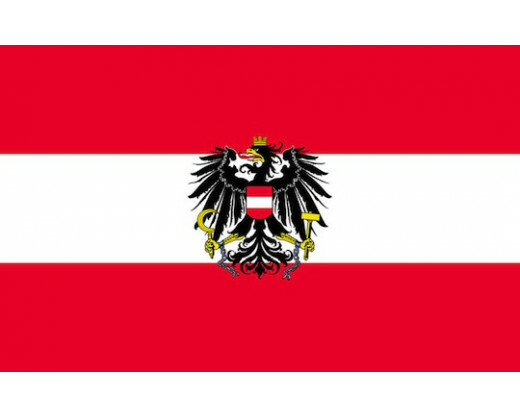 When the coat of arms is added to the standard three stripe Austrian flag it becomes a naval ensign, state flag or war flag. 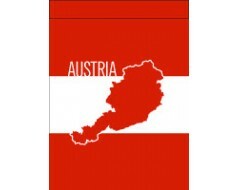 The current coat of arms of Austria, albeit without the broken chains, has been in use by the Republic of Austria since 1919. Between 1934 and the German annexation in 1938 Austria used a different coat of arms, which consisted of a double-headed eagle. 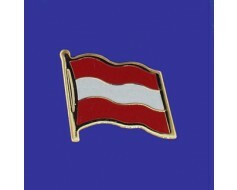 The establishment of the Second Republic in 1945 saw the return of the original (First Republic) arms, with broken chains added to symbolize Austria's liberation. 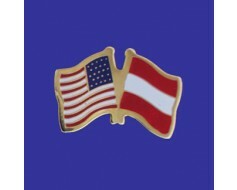 Indoor and outdoor Austria flags are made in the US using high quality nylon material and are dyed with durable inks. 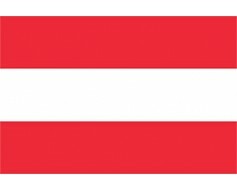 If you don't see the size or style Austria flag that you need, please give us a call and we can custom make your perfect flag.